Basin Lake on Fraser Island is one of the many perched lakes that are found in this unique part of the world. The island is famous for being the world's largest sand island and as the home of over half of the world's perched lakes! Basin Lake as one among many of them as are the famous Lake McKenzie, Lake Wabby and Lake Boomanjin! 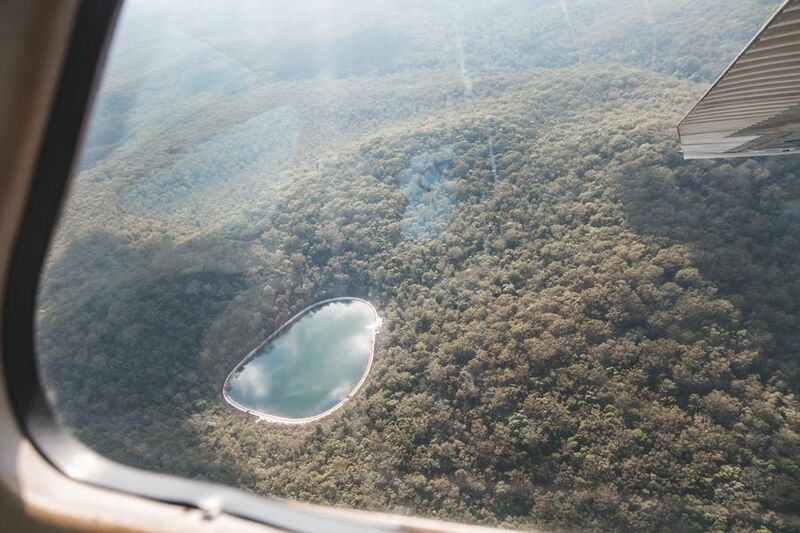 Basin Lake is one of forty lakes that are found on Fraser Island, and is known as a favourite swimming spot! The lake is considered to be unique in that it is both a perched lake and a window lake, with the qualities of both! A window lake is created when the earth's surface drops below the water table, exposing it and creating a pool of water on the surface, while a perched lake is formed when organic matter hardens over time, creating a depression for water to pool, stopping it from leaching out. This means that Basin Lake's water supply is dependent on the rain and groundwater below it, and does not have any water sources running in or out of the it, making it an extremely pure and clear source of water! For this reason anyone swimming here should refrain from wearing sunscreen, bug spray or any other possible contaminants that will affect the quality of the water. You can reach Basin Lake from the inland tracks that are found on Fraser Island. Relatively speaking, it is found close to Central Station and in between Lake McKenzie and Lake Birrabeen, which are both lakes frequented by roving visitors. This beautiful and often deserted lake can be reached by walking from Central Station (5.6km return or 3 hours) or by using the inland tracks in a 4WD. If you plan to find this lake without a guide, ensure you have a good map before setting out! It's worth the journey to get there and often has little to no crowd, making is quiet escape to enjoy your surroundings and cool down with a relaxing swim. Guided and tag-along tours visit this location, as do independent travellers so they can enjoy the solitude and relaxation that Basin Lake has to offer.